Since the early 1980s, universities in the United States have greatly expanded their patenting and licensing activities. The Congressional Joint Economic Committee, among other authorities, have argued that this surge contributed to the economic boom of the 1990s. And, many observers have attributed this trend to the Bayh-Dole Act of 1980. 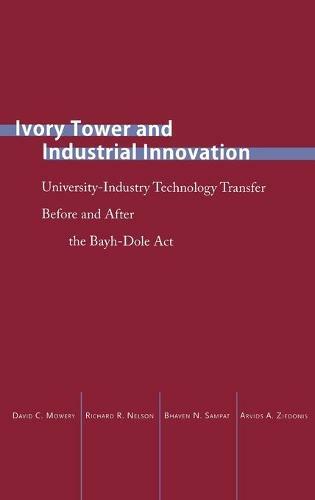 Using quantitative analysis and detailed case studies, this book tests that conventional wisdom and assesses the effects of the Act, examining the diverse channels through which commercialization has occurred over the 20th century and since the passage of the Act.